These photographs are from the groundbreaking ceremonies for the $35 million West Campus facility for the Menninger Clinic in Topeka, Kansas. The Menninger Clinic remains one of the primary North American settings supporting psychodynamically informed research on clinical diagnosis, assessment, and treatment. The grounds and buildings around the original farmhouse which became the Menninger Clinic were expanded to become the "East Campus". In 1982, the "West Campus", a much larger area was developed west of Topeka. 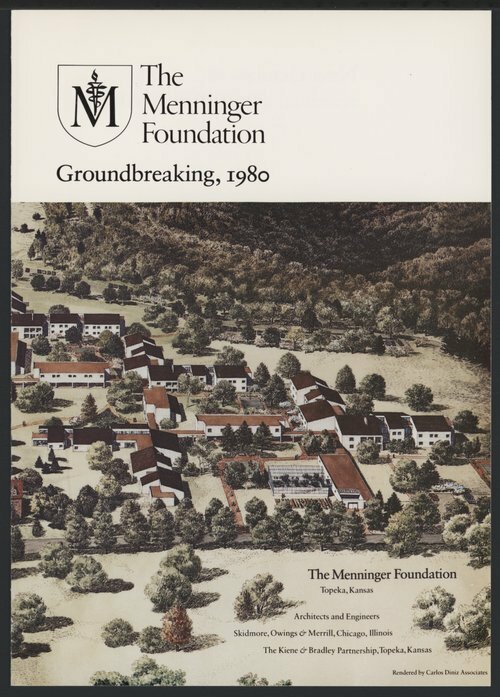 It was a residential scale community of 28 structures on a 350 acre hilltop campus In 2003, the Menninger Foundation was moved to Houston, Texas.